Kevadia: Kamlesh Tadvi, a 37-year-old tribal, is anxious after the grand unveiling of the "Statue of Unity" near his village Indravarna. While the inauguration of the world’s tallest statue in Sadhu Bet might boost tourism in the state, tribals like Kamlesh are uncertain about their future for various reasons. Kamlesh’s hamlet is at a distance of about 10 kilometres from Sadhu Bet — the island which has the 182-metre high figure of Sardar Vallabhbhai Patel. 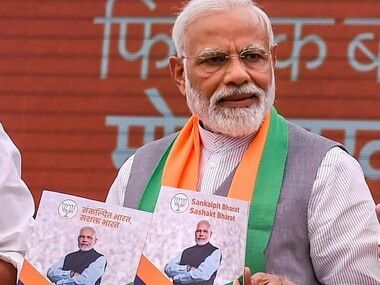 On Wednesday, Prime Minister Narendra Modi unveiled the statue and inaugurated other associated projects including the tent city, valley of flowers, wall of unity etc. “I want a better and perhaps a permanent job in the Statue of Unity project. 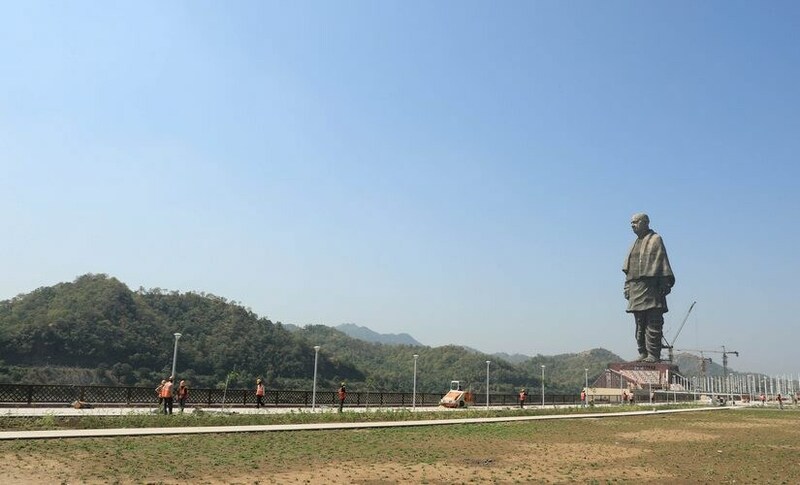 Currently, I get only Rs 300 per day in my job, which is not even permanent,” says Kamlesh, who is now working as a dumper-driver in the Gadureshwar weir construction project — which is around 9 kilometres from the Statue of Unity. According to him, the land for the weir project was acquired from a dozen villages, including Indravarna. “Even if I am not given a job, I should be given land in my village as compensation. I can find a better means of living in the area which is bound to see better development,” he says. Kamlesh is not alone. The completion of the 33-month-long mega project has left around 1,000 locals jobless. The project, which began in December 2015, employed around 4000 people on an average — 3000 among them being outsiders. The government has tried hard to push the landmark structure as a great opportunity to boost tourism in the region and thereby create jobs. The assurance of better job opportunities coupled with recent unemployment figures has forced locals — almost 90 percent of whom are tribals — to demand better jobs in the project. Shailesh Tadvi, another tribal man from Vagadiya village at a walking distance from the statue, is also among those worried. “The cremation ground of our village, which is used by several villages, had submerged recently when water from Gadureshwar weir was released before the unveiling event. There are other issues too but we want to live in this area as it has better employment opportunities and basic amenities — including healthcare, education facilities, and water supply,” says Shailesh. Large chunks of land in Shailesh's village were allegedly acquired vaguely without proper paperwork over five decades ago when it was first chosen as the site for the dam. However, the dam was eventually built at some distance and the villagers continued farming on their lands. With the spot now turning into a major tourist destination, Shailesh and others are worried that they might get displaced to make room for expansion activities. “For the past one month or so, we have been hearing about skills training and jobs for locals in the statue and other related projects. But they are employing mostly outsiders. Natives of the area have failed to secure a job for themselves even in the buses being deployed for tourists. The outsiders who lost their jobs after the completion of the statue are also looking for work here and many have succeeded. I even lost one of my shops during land acquisition for road widening and now feel very irritated,” says Shailesh. The sarpanch of Vagadiya, Govind Tadvi, says he accompanies local youth to various offices in order to secure a job for them. “The completion of the statue has left many locals jobless and their intake in the new projects has been negligible. The tourism department has taken some for training as guides, but it is only for six months, after which they have to earn a living on their own. While our village contributed so much for the statue and suffered, we have not got what was promised,” he grumbles. 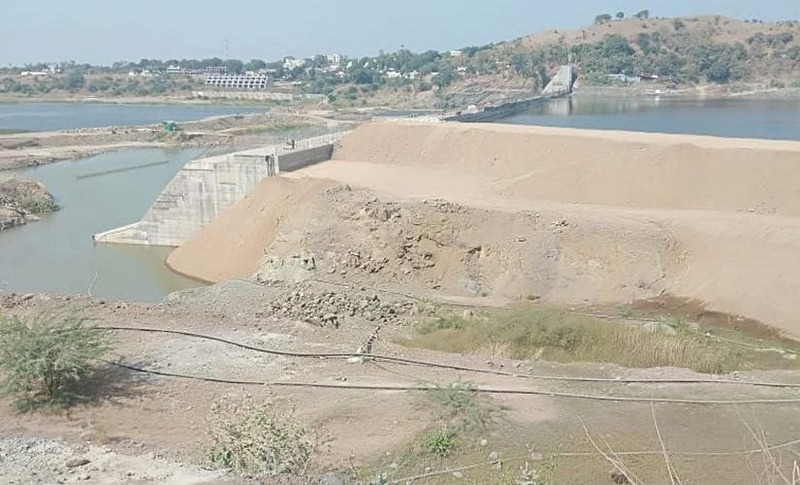 Vijendrabhai, another tribal from the Nana Pipariya village nearby, says the construction of the Sardar Sarovar dam, for many years, has stopped the inflow of water bringing fresh and fertile soil on the banks of river Narmada in the area, adding to their woes. “It has turned highly-fertile lands close to the river bank called Kachhi into almost barren ones and that has hit the livelihood of locals. Now, the flow of water from the weir would render a substantial chunk of the remaining fertile land useless, as it would turn the land into an island of sorts,” says Vijendra. 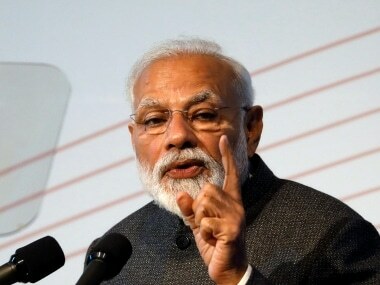 He also complains that the land being offered as compensation was situated around 40-50 kilometres away and lacked in several basic amenities, causing the villagers to refuse the offer. JK Garasia, the executive engineer of the Hydro Power division-4 of the Sardar Sarovar Narmada Nigam Limited, who takes care of the compensation process of around 12 weir-project affected villages including Vagadiya, has a different point of view. “We have acquired 62 hectares of land so far and would acquire 15-17 hectares more, mainly in Kevadia and Gabhana villages. 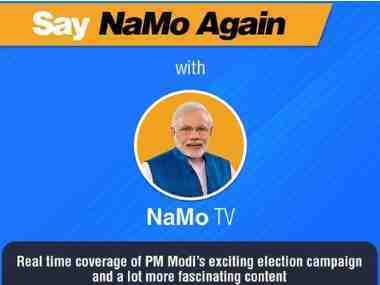 All the norms for compensation have been followed. The fear of flood due to the weir and rumours that fields with standing crops will be submerged are all baseless. The construction of the weir, which started in December 2014, would be completed in another six months,” he said, adding that some of the villagers who claim that their land has been acquired or submerged have no proof in the document and the village maps. Praful Vasava and Lakhan Musafir, two of the prominent tribal agitation leaders in the area, allege that the government’s claim of following norms and rules of land acquisition and providing jobs to tribals is a "big fat lie." “The affected people have all the proofs but the administration is not bothered about it. All the autocratic ways are being adopted. 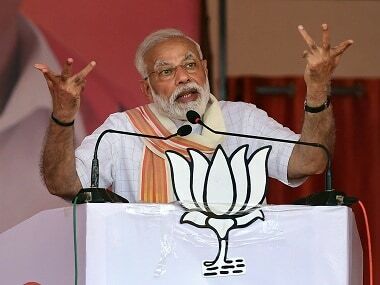 Every time Prime Minister Narendra Modi came in this area, those affected by the project were given the same lollipops of promises which were never fulfilled,” says Vasava, who was detained by police while protesting against the 31 October event. Lakhan, who was also detained, says that the government must listen to the voice of locals. “You erected a statue against the locals' will. You never consulted them before adding new projects and now you say that it will attract tourists because it is the world's tallest statue. But it won't remain so forever. When another statue of a bigger height comes up, what would happen?” he asks, suggesting that the locals should be given a chance to decide the things they want to do for sustainable development. Though the Collector of Narmada district RS Ninama confirms the job-loss of 1,000 locals and 3,000 others due to completion of the statue project, he has his explanation ready. “I have taken meetings in this regard and results will take some time to show," he says. "It is not possible to adjust 1,000 people in the new projects in just a day or two. We are assessing all job opportunities in the projects and giving priority to locals," claims Ninama.